The 5402 and 5422 metal enclosure assault sensors respond to the shock waves created when metal is cut, sawed, impacted or drilled. 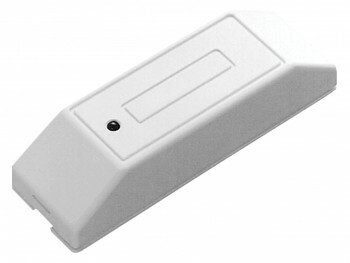 The sensors are ideal for protecting sheet metal enclosures up to 2' x 4' x 1' (61 cm x 122 cm x 30.5 cm). Use these sensors as an inexpensive way to protect a control panel from tampering, in place of costly lined boxes and to avoid mounting controls in the vault for UL and ULC mercantile applications.